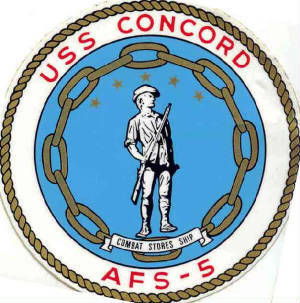 The USS Concord (AFS-5) Veterans Association recently enjoyed her 4th reunion September 2016! The genesis of the USS Concord Veterans Association was email communications over the past couple of years between Ben Barresi (DP2 81-83) and Garry Collins (LTJG 81-84). Garry is an active member and founder of the USS Thomas C. Hart (FF-1092) Veterans Association and has served as President of both the USS Thomas C. Hart Veterans Association, and the USS John C. Calhoun (SSBN 630) Veterans Association's. Presently he is webmaster for both Associations and has created this site. Both Ben and Garry felt a possible reunion and Association would be a great way to get all the Concord vets together again! With Garry's experience in forming and organizing non-profit veterans associations, and Ben's willingness to be the driving force for maintaining the database of known CONCORD sailors, the decision was made to launch this effort. Steve Larsen (DP2 68-70) and Gary O'Neal (DP3 81-84) pitched in to serve as the interim Treasurer. The Association has been approved by IRS as a 501 C (19) tax exempt entity! This means that the Association is not subject to taxation. Dues, however, are not tax deductibile. Click here to view the IRS approval letter. Who can Join? - Any current/former U.S. Navy member who has served aboard Concord at any time. This includes U.S. Navy former/current crew members of the USNS Concord (T-AFS-5) and any member of any embarked helicopter detachment. Becoming a Member - All Concord Veterans are Encouraged to Join! To join the Association, simply click the pennant icon below. You will be directed to the Membership page. 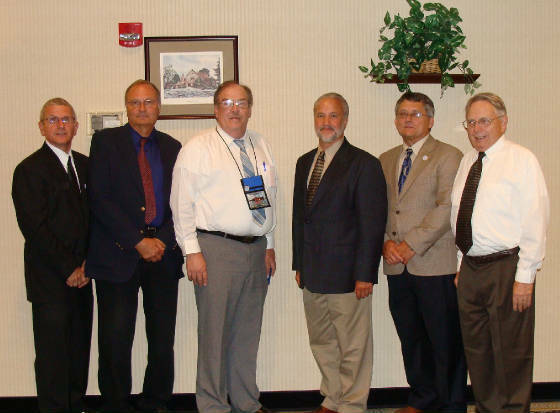 All members will be "in the loop" for all reunion planning and other Association business. In addition, members have "full" access to names, addresses, phone numbers, email addresses of CVA members and CONCORD vets who have registered. Click Pennant to go to Membership Page!